Monday: Make-Up Monday at North End Pub approximately 8PM, if you missed league night last Thursday here is your chance to come down and get your games played. Anyone is welcome to join the league still and could play tonight. Tuesday: Lafayette Pinball League plays at Main Street Amusements at 7:30 PM. Wednesday: FREE PINBALL NIGHT @ NORTH END PUB! Every single game will be on Free Play. Don’t forget that Iron Maiden and Prospector are this month’s selfie league games so take pictures of your scores and submit them to the website! Thursday: North End Pub Pinball League Night at North End Pub starts at approximately 8PM. Anyone is welcome to come and play, no cost to join, spend about $2 in quarters to play in the league each week. Lots of fun; food and drinks available at the bar. ALL WEEK: This is the last chance to get scores in for the selfie league for September. Score submissions must be in by Sunday at midnight. The games are Iron Maiden and Prospector. 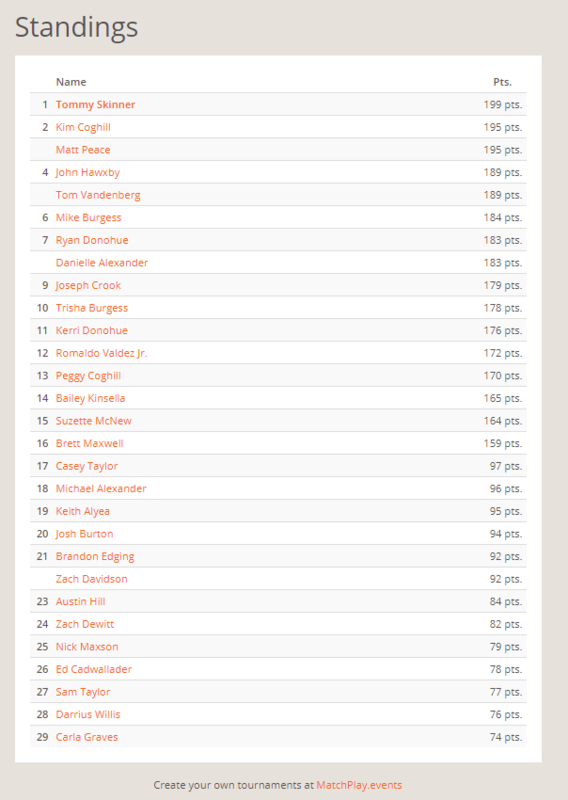 We have had some great scores submitted and there is a tight race to make it to the top. All you have to do is play those games, take a picture of your score, and submit it to the website. Or if you play on Monday, Wednesday, or Thursday night and I’m there just show me your score and I can submit it for you! Here are the current standings although more names will be joining the list as I have several scores to enter for Iron Maiden and Prospector from players over the weekend.